Confession: I also photographed some birds today. There was an unusual duck on the lake, so I photographed it to aid in identification. It turned out to be a big, ugly Mallard × domestic cross. 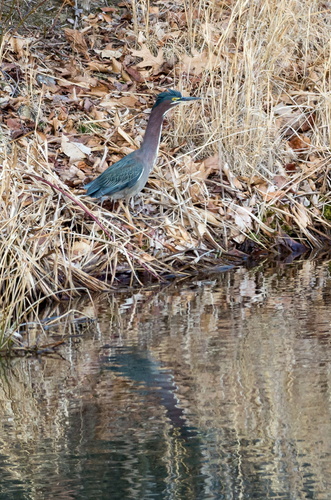 But while I was looking at the duck, I also found a Green Heron, the first ever for our property. 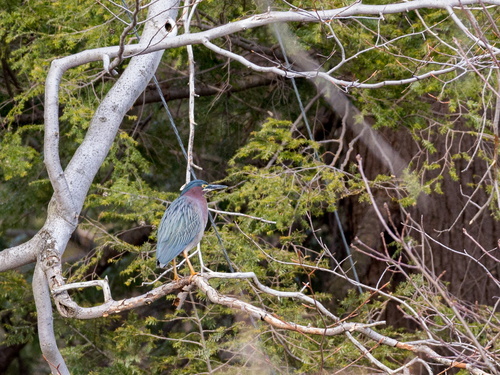 It was flagged as rare on eBird—I think because it’s about two weeks early for Cambria County—so I photographed it for the record.